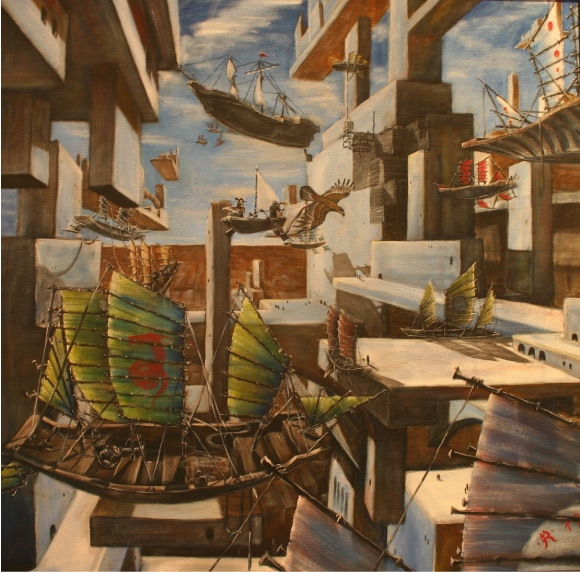 City in the Sky shows a fabulous floating city under minor renovation, with many flying ships and even a misplaced galleon. The galleon has sent out a longboat with the captain and a rower with a telescope and a map to ascertain the situation. The foreground boat has a drunk at the tiller, and a reclining first mate. It corresponds to air.